With spring comes the vibrant color of new blooms. Here are a few beauty ideas for a fresh makeup look that pops with color! Bright bold colors like bright yellow, red, orange, neon green or pink, aqua, light blue or lavender, and shimmer shades, lift and pull the area they’re applied to forward. They are highlighting shades. 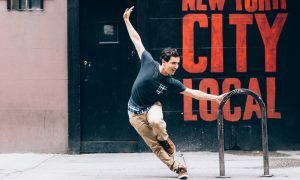 Deep vibrant, rich colors like deep navy/indigo, emerald/forest green, royal purple/plum and brownish orange, pull in or define the area they’re applied to. These are defining shades. Add a pop of color to the eyelids with bold, bright colors that wouldn’t work on the eye bone, crease or under the eyebrow. The best colors are blue, green, yellow, pink or purple. Pink, yellow and orange can look great on the eye bone, as long as they are not sparkly (sparkles and shimmer pull forward and can make eyes look puffy when applied on the eye bone). Highlight inner eye corner and below brow with highlighting shades like bright yellow, as well as shimmer colors in white gold or silver, light lavender or pink, depending on the theme. Shimmer colors can be great to help soften and blend the look together. Defining shades are used at the outer eye corner or just above the crease to add lift to the eye and define. The best colors for these areas are deep and more neutral shades. Wear bright cheek colors up high on the apples. Avoid following the cheekbone line as from a distance this can appear like a bright stripe of color across the face. Contour cheekbones so bright cheek color can have center stage by using rich, neutral colors to define the bones and nose lines, not bright colors, if you would like those areas contoured. Highlight with shimmer high on the cheekbone up to the temple. Bright colors look great on the lips but can be very one dimensional, easily overpowering the shape of the mouth. A lip liner that’s one shade darker or has a little bit of brown can help define and pull lips down so the color can pop forward. For example, use bright pink lip color with a pinky brown lip liner. Be sure to blend in the color so the lip liner has a fade out and doesn’t show. Another way to bring lips forward for dimension is to use a lipstick highlighter. Any complimenting color that is lighter or has shimmer will do the trick. Be sure to apply a lipstick highlighter to the center of the upper and lower lip to create a round effect to the mouth. Be sure to define features. Brows need to be enhanced, filled in and extended to frame and balance eyes. Bold eyes need bold lashes. False lashes help to bring out the eyes and prevent the eye color from being overpowering. Using colors that fade into each other can create a very dramatic look. Don’t be afraid to layer colors, especially when lining the eyes. Try shades of blue or mix pink, yellow and orange. 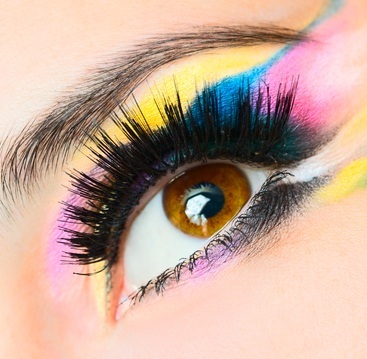 Even create rainbow eyes for a whimsical look. Stencils can be used (find these at your local craft store) to create fun color designs on the face and body. Paint right into the stencil by wetting your color pigment until it’s a creamy texture that’s easy to spread. 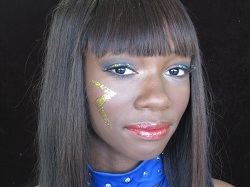 Glitter works well to add dimension and lift to the area of the face you would like to draw focus to. Be sure to secure glitter with spirit gum like Mode Dion’s Diva Glue. Diva Glue painted into stencils or used to draw designs with glitter patted on top can add more drama and fun to your look. MODE DION SPECIAL: Receive 20% off when mentioning Dance Informa on all of Mode Dion’s Pure Bright Color Pigments, Glitter and Diva Glue! Call (760) 837-9433 to place an order by phone or order online at modedion.com. Mention Dance Informa at checkout under Special Instructions. Be sure to visit modedion.com for more great beauty tips, how to videos and products. 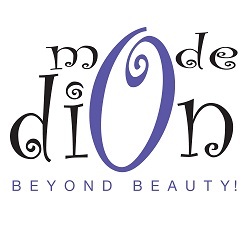 Sign up at modedion.com for more tips and updates on Mode Dion Cosmetics & Training Facebook, Newsletter and Twitter. Some of those makeup tips are very useful for parties, however, some of them are too extravagant to wear on “normal” party. Plus, I can imagine they somehow get rubbed off when being little bit sweaty from dancing.